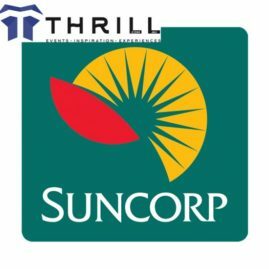 Thrill provides a sensational choice Blue Mountains Team Building Activities, Professional development, MBTI, Corporate Group Events, guided adventures and evening Entertainment that is ideal for business teams escaping Sydney to experience Blue Mountains Christmas in July. Amazing treasures revealed whilst conferencing at The Fairmont Resort, Carrington Hotel, Lilianfels, Wolgan Valley Resort, Leura Dairy, Blue Mountains Heritage Lodge, Dantosa Private Groups Resort and Hydro Majestic Hotels. 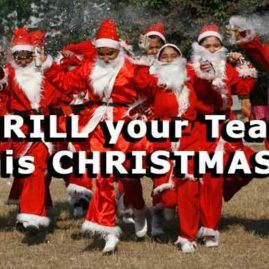 The most popular selections of team events include; Blue Mountains Amazing Races, indoor Corporate Entertainment, Minute 2 Win It fun games, Trivia Nights, Games, Murder Mysteries. For more in depth team building sleuth a CSI Crime Scene Investigation. 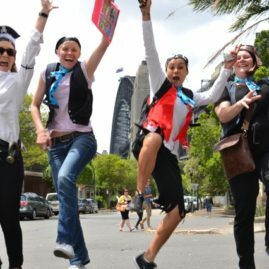 Embark on a Treasure Hunt or compete on an exciting Blue Mountains Amazing Race from all accomodation, hotels and conference venues. Great to open up communication lines. 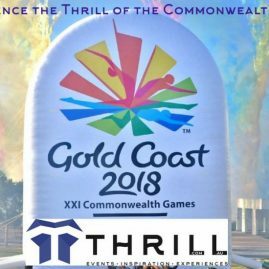 Thrill also provides Blue Mountains Survivor, Mission Possible and Navigation or Orienteering team activities with bushwalking from The Fairmont Resort, The Hydro Majestic or Lilianfels around Echo Point, Three Sisters to waterfalls and art installations at Scenic World’s Scenic Railway. 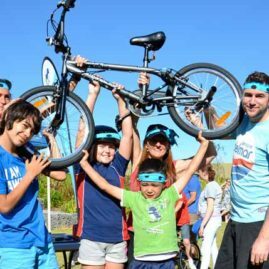 New to Blue Mountains Activities we create custom built corporate events. Hosted with professional activity instructors and eco guides. Designing and delivering events for large group entertainment, golf games, segways and more. 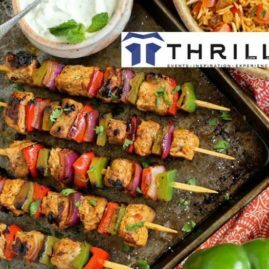 Thrill team has 23 years experience in hosting groups on the best Blue Mountains activities, master chef cooking challenges and tastings of wine or beers, golf course games to incredibly thrilling adventures that engage and thrill your employees, leaders, managers, delegates, staff and teams. Hilariously fun interactive flash mobs themed Indian Bollywood and Arabian Dance Nights. 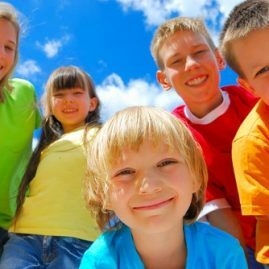 For the more energetic a Mountains Mini Olympics mixed with with Bubble Soccer, Target Shooting, Medieval Archery and Fencing provides a great compendium afternoon on the lawns of The Fairmont Hotel Resort. Our newest addition is Medieval Carnivale Corporate Challenges with Broadswords, Bows and Arrows, Archery Games. Even building and firing Trebuchet Catapaults. Encouraged is exploring and experiencing the magificent cliff lines, canyons and scenic outdoors. Whilst Blue Mountains weather may keep conferences indoors. 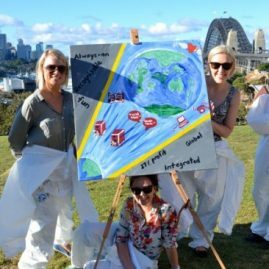 We supply terrific fun wild at Art creative team building for businesses and staff looking to express themselves. Of course there is always serious team building like Team Construct, Team Initiatives, Spiders Webs, Ropes Courses, Obstacle Races or Building Bridges. Enjoy throwing your colleagues off over the cliffs. Imagine a stunning Mountains sunrise from your cliff edge accommodation and being greeted by energetic hosts. 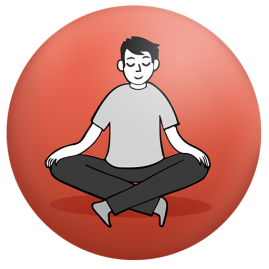 Ready to take your team through a modified Thai Chi session and early morning vitality walk. With stretches and Yoga overlooking mist filled valleys. James Purdis CFO Coca Cola Amatil shared; “I wanted to take a moment to thank you personally for your fantastic efforts last week! The team and I thoroughly enjoyed the activity and felt it was very well organised’! That is wonderful news Steve, Thrill love receiving feedback. 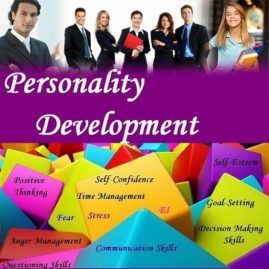 Recognition that Mish is a brilliant facilitator and qualified MBTI Personality profile trainer. 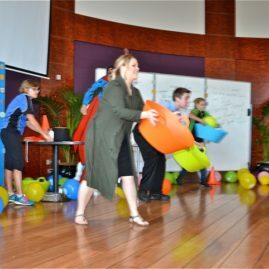 I have shared your comments with her and she shared “they were a great bunch who put energy into the activities making the CCA amazing racers a delight to run the team building at The Fairmont Resort”. 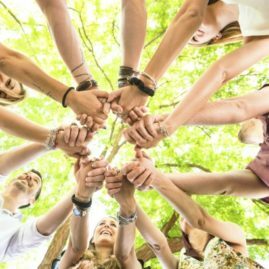 Are you serious about building your team in the Mountains – we have our professional lifestyle and wellness coaches, Myers Briggs Personality Profiling Tools MBTI as well as challenging activities that unite teams in a common cause. Alternatively we bring the Wine Tasting Experiences. Blending Blue Mountains regional produced wines and chocolate delights direct to your conference and meeting rooms. 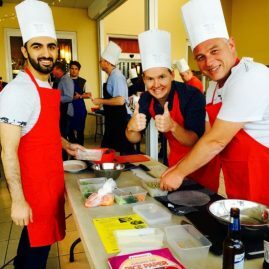 Enjoy a brilliant range of fun indoor team building activities like Ramsay’s Blue Master Chef Team Innovation Cooking. 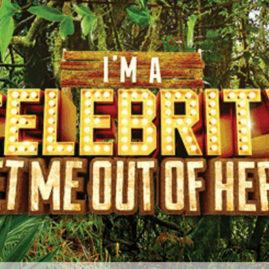 BBQ’s or 3 Course Banquets with Celebrity cooks to inspire your guests. Great gourmet food from paddock to plate. Cooking style matched to local and Orange to Mudgee wines, Bilpin mountain apple or pear ciders and craft beers in our Blue Mountains refreshing palate menus. We love to custom design corporate events and once ion a life time experiences so you get the most out of your conferences, off-site meetings and planning days. The most significant Blue Mountains experiences are those that take your team on a journey. 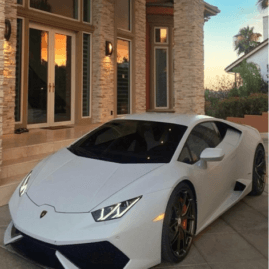 That can start from your accommodation or conference room and descend into the valleys via the Scenic Railway and then Bushwalk to Ruined Castle, Mt Solitary and up the Golden Stairs. Our qualified interpretative guides reveal unique Blue Mountains insights and share their stories from Aboriginal dreamtime to modern adventure experiences. 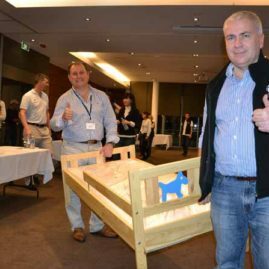 Building Toys 4 Kids. 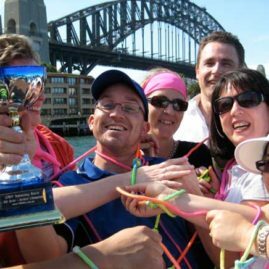 Charity team building is the most rewarding team development you can provide. Usingf the strength, knowledge and team work of your business staff to help others less fortunate. Experience the gastronomy and tastes of Leura, Katoomba and Blackheath’s delicious Blue Mountains Chocolates. For foodies Austrian Sour Dough, Italian Wood fired Pizza in urban spoon rated restaurants with breathtaking Mt Solitary views. Journey into the Aboriginal history and heritage of Blue Mountains Gundangurra land. Experience a corroboree where you take part in a unity dance. If you have Mamils in your team – let our cycle team take them out on a training, guided Mountain Bike rides. 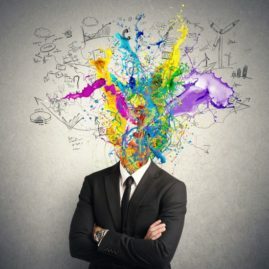 Express teams Creatively with painting Wild Art, The Biggest Picture masterpiece and a Thrill Art Rageous creative team building experience that has tangible takeaway rewards. On the lawns with art Easels guided by local accomplished painting artists. Sculpturing – the rocks into expressive forms, native animals and really create a memorable piece of the Bluies experience. 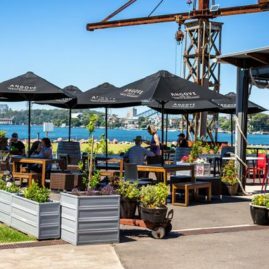 Unique Journey’s; Ascending through Glenbrook for bakeries and cafes, Blaxland for cyling and mountain biking, Valley Heights for views over the Blue Labyrinth. To Faulconbridge, home of artists and Norman Lindsay to Springwood for Bushwalking. Lawson for exploring to Wentworth Falls for Canyoning to Leura with delectable eateries. To Katoomba with a 52 degress thrilling Scenic Railway Ride to 1,000m elevation. 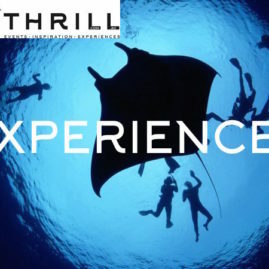 Here Thrill offers an inspiring selection of activities and adventure experiences. 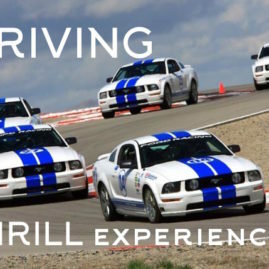 For corporate groups, team development and conference meeting activities with a difference! 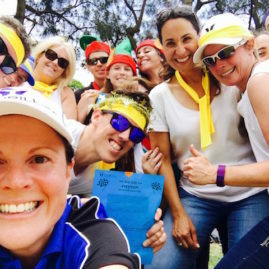 Get the ultimate combination of team games, thinking, team building strategies and fun. 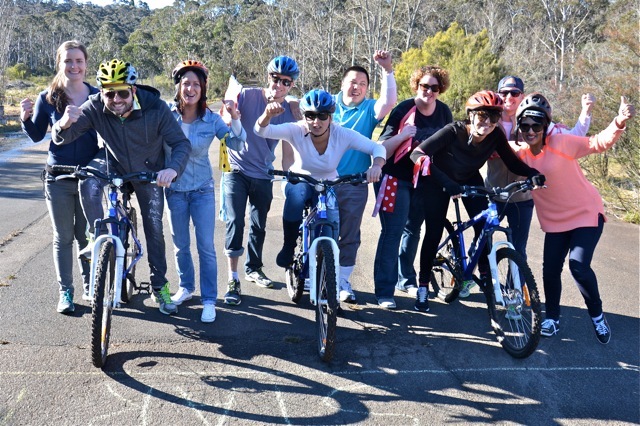 Have Thrill design an exclusive Amazing Race around the Blue Mountains or from offices in Sydney. Recently we designed Mercedes North Shore Team Integration Day. 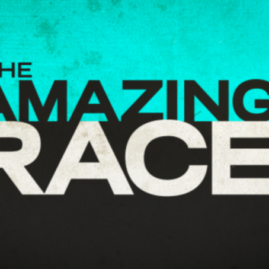 As well as an incredible Imperial Amazing Race. Kicking off in their Sydney offices was a surprise for the team. Before heading out to Eastern Creek Go Karts. Racing and lapping the fastest times. Soon teams were enjoying the thrills and spills at Penrith White Water. Before drying off with a Tree Top Adventure and yahooing down Flying Fox zip lines. The amazing race final pitstop was at Three Sisters Echo Point. Where teams reunited to celebrate their victories before heading to The Fairmont or Lilianfels to freshen up before dinner. What an impressive way to ignite a conference. 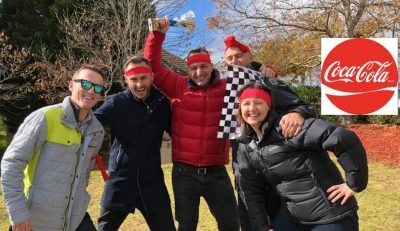 Your conference amazing race can be conducted around Leura, Katoomba, The Fairmont Resort and Lilianfels resorts. Through Blackheath overlooking the Grose and spectacular Megalong Valley out to Mt Cloudmaker. View lookouts and amazing Waterfalls tumbling down from Wentworth Falls. Descend the cliffs, enjoying the Thrill of the Scenic Railway and Sceniscender. Complete a circuit around Mt Victoria, Jenolan Caves, Mt Wilson, Mt Tomah and The Blue Mountains Botanic Gardens. 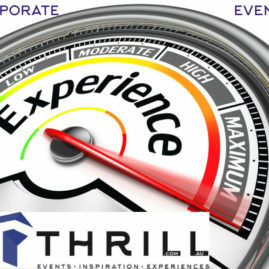 Thrill ensure your team gets what they deserve; energetic activities that are really fun, intelligent and interactive. Not just another boring team building exercise. Getting coporate bodies activated with people sharing and laughing whilst enjoying the fruits of the region. 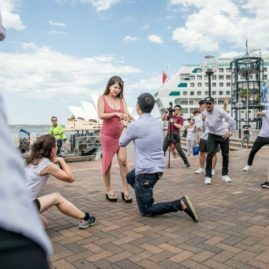 Whilst conferencing in the Blue Mountains we recommend participating in fun evening entertainment activities of Flash Mob Dancing, Minute 2 Win It Games, Trivia, Pictionary, Murder Mysteries and Casino Nights. Themed Bollywood Nights with amazing fun Flash Mobs. Movie Making, Aboriginal Corroborees, CSI investigations, Solving Missions, Finding Treasures or getting Creative with Painting or Sculpting Norman Lindsay style. For more serious team development outcomes. We integrate our suite of accredited facilitation MBTI and Team Management System TMS profiling tools. 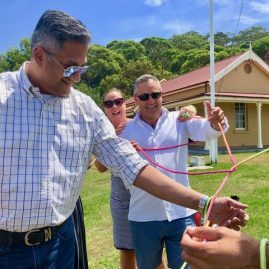 Perfect for facilitated leadership training, team development programs and team bonding experiences in stunning locations. 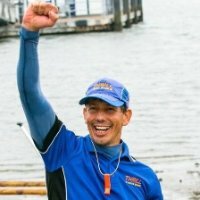 Smile as your team jumps off cliffs, waterfalls and paddles down white water rapids or combine adventures on our Amazing Races. Get out and enjoy the fresh blue mountains air with outdoor activities are professionally guided. Including Abseiling, X Country Segway riding. Jump in a boat Canoeing or follow the water courses Canyoning. Build Rafts. Exploring adventure trails with plunging waterfalls to abseil through. Or relax on Li-Low Rafting airbeds whilst peering up at the majestic sandstone canyon cliffs towering above. For the more adventurous group we offer cycling tours and mountain biking. Riding along fire trails and mountain biking single track heaven. Exploring underground Jenolan Caves Caving. 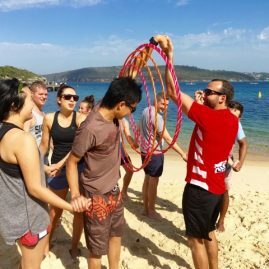 Or onsite at resorts we conduct Raft building, Bushwalking, Orienteering and climbing in the treetops with Ropes Courses, Zip lines and Flying Fox adrenaline pumping fun. 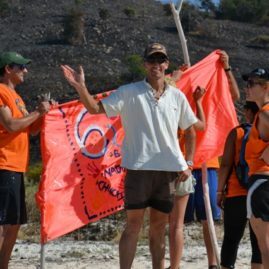 Custom designed Amazing Races, Treasure Hunts & Survivor events. Test your teamwork strength on our Tough Mudder style, Eco Challenge Obstacle Courses, Warriors Dash and Real Man vs Wild Bear Grylls Survival style programs. Leura features the popular Leura Mall with a Brittish Lolly Shop and remarkable Tea House. Guided walks to lookouts, views and the magical Toy and Railway Museum. Enjoy unique specialty shops, antiques and terrific eateries like the Leura Garage. 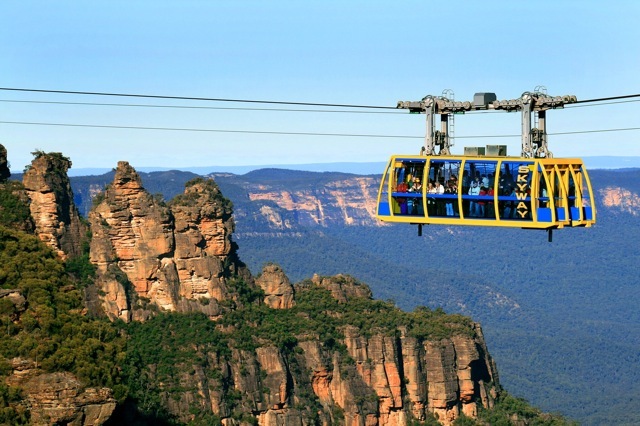 Katoomba features an awesome Scenic World Railway and Skyway. Short Bushwalks to the Three Sisters and Echo Point with stunning views. Or visit local artist in residence Art galleries. Nearby is Blackheath and Mt Victoria with stunning views into the Grose Valley and Blue Gum Forest out to Mt Banks, Mt Tomah and Mt Wilson basalt capped peaks. In the lower mountains are the towns of Glenbrook, Valley Heights, Warrimoo, Faulconbridge, Yellomundee, Bullaburra. Springwood is a delight with the splendid Sassafras Gully, Norman Lindsay Gallery and wonderful bakeries or patisseries and pizza’s. Wild Valley’s new Art Gallery in The Blue Mountains and art galleries in Wentworth Falls are great places to experience local art and meet the artist in residence. 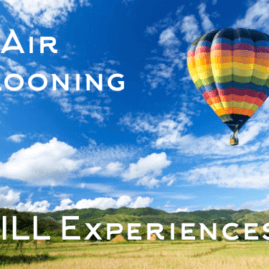 Wet weather team building options include the Edge Maxi Vision Cinema, Blue Mountains Chocolates and fun team activities at Wayzgoose Cafe and The Tea Pot House for a charming high tea meeting. Blue Mountains Lilianfels Resort & Spa Katoomba. Stay at the impeccable Emirates Wolgan Valley Resort & Spa. Deep within The Blue Mountains, Australia is a wonderful Emirates Hotel and Resort. This stunning facility is set amid breath taking scenery and provides exciting adventure activities from Horse Riding to 4 Wheel Driving Escapes. The Carrington a wonderful & historic Blue Mountains icon Hotel that we highly recommend for the feel of yesteryear. Mountain Heritage Lodge has the charm and ambience to facilitate all types of indoor team building activities only a short walk from Katoomba Shops. The ever popular Fairmont Resort is ideal to discover your teams future located in the World Heritage listed Blue Mountains. 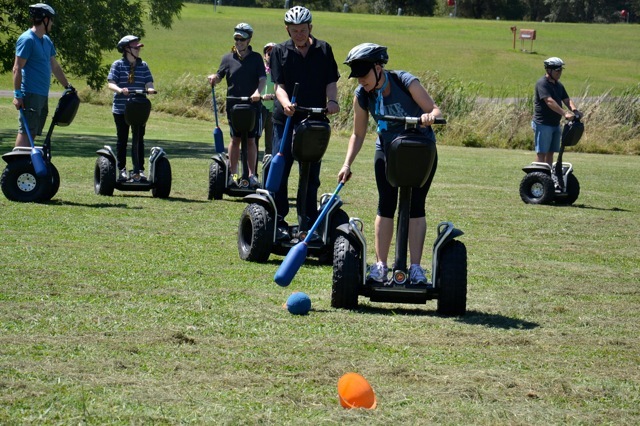 Here we have Clay Target Shooting, Riding Segways and a wild range of team building activities including Orienteering, Murder Mysteries and Amazing Race Treasure Hunts. Old Leura Dairy accommodation in Leura has the rustic charm for your group booking in the heart of the Blue Mountains. 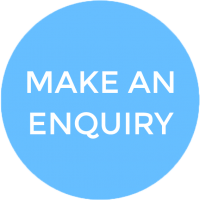 Speak with Linda Phone (02) 4868 3566. Hydro Majestic is now re opened and is a sensational way to experience the grandeur of the Blue Mountains. 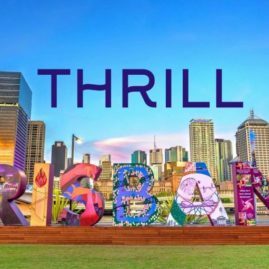 Please speak with the Thrill team to match your aims, requirements, dates and conference needs. 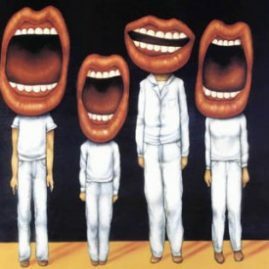 They discuss your ideas and develop conference solutions, that are a best fit for your needs. Make your Blue Mountains conference planning days or off sites. 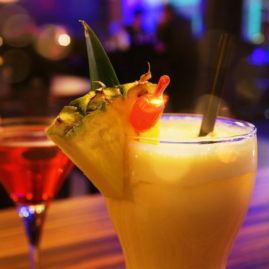 A rewarding experience for yourself, employees, staff and delegates. 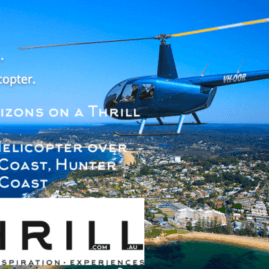 Experiencing the wow factor difference a thrill developing exceptional team building events and adventures in The Blue Mountains since 1995.